Plant Pyramid Level 5, Brown, Extra Large. Made from naturally rot-resistant Western Red Cedar. Natural finish, can be stained. For indoor or outdoor use. 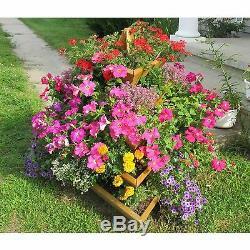 Holds 53 gallons of soil. 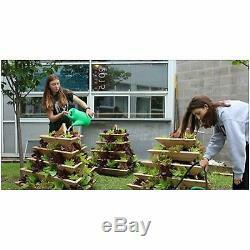 Take your garden to new levels with the Plant Pyramid Level 5. 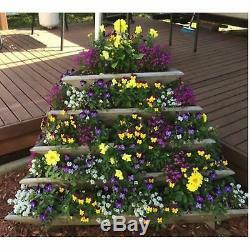 Fill it with succulents, small flowering plants, even herbs! 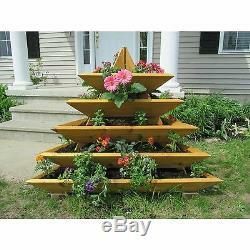 When plants mature, the pyramid will become a focal point in your garden or wherever you choose to put it! 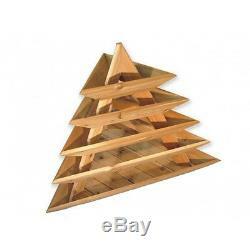 It's made from naturally rot-resistant Western Red Cedar wood, so you don't have to worry about any maintenance. 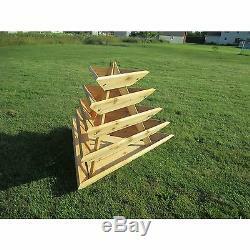 The unique five-level design is suitable for indoor and outdoor use, and is made in the USA. 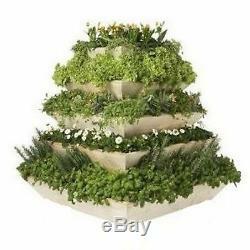 The pyramid can hold up to 53 gallons of soil and has capacity for at least 40 plants with approximately 7.5-inch spacing. About Smart Carts Muller's Garden Carts, including the revolutionary and legendary Smart Cart, have been made in the U. They're designed to be stable, easy-to-use, lightweight, and longer-lasting than any comparable product. Using high-grade materials and thoughtful design, Smart Carts are accessible, fun, and totally essential for the clever gardener. Capacity for at least 40 plants. Dimensions: 47L x 45W x 47H inches. This listing is currently undergoing maintenance, we apologise for any inconvenience caused. 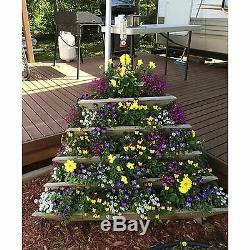 The item "Plant Pyramid Level 5, Brown, Extra Large" is in sale since Saturday, January 20, 2018.